The Nylon XT60 Connectors Male/Female are excellent W.S. Deans T-connector replacements. 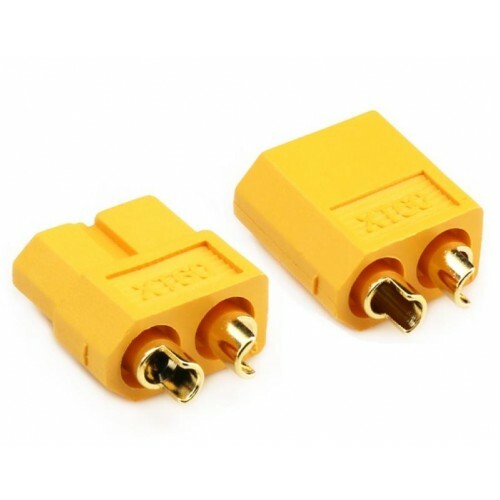 They are made from high-temp Nylon and gold plated spring connectors, both included in the injection mold at the time when forming the connector. The XT60 ensures a solid high-amp connection, perfect for applications up to and beyond 65 Ampere constant. Nylon XT60 more reliable and a better quality connection than Deans T-Connectors.Nylon XT60 provides bettter protection from short circuiting the batteries. 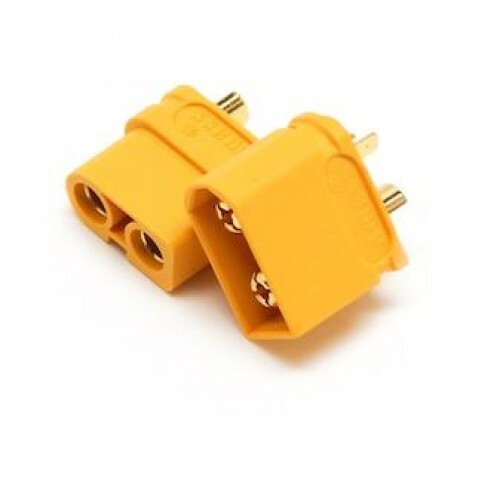 These connectors are made from high-temp nylon with gold-plated spring pins or sockets molded in. These are not cheap copied XT60 plugs. These original Nylon XT60 plugs can handle over 60 Ampere current for extended periods without exceeding 80ºC thanks to their better contact surface area. The plug is also less likely to deform or melt in comparison to copied non-Nylon XT60 plugs.